9781101937600 | Box edition (Yearling Books, February 23, 2016), cover price $31.96 | About this edition: The perfect gift for any new or longtime fans of the National Book Award-winning (The Penderwicks, book 1), New York Times-bestselling series that's been compared to Little Women! 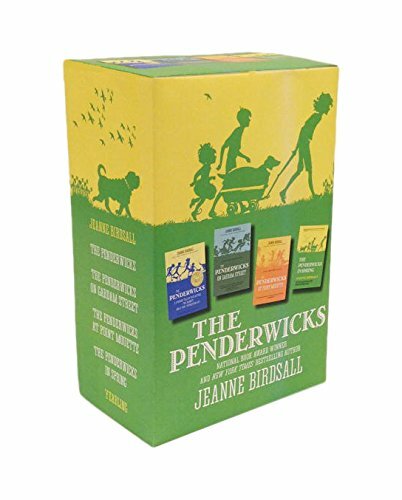 With over one million copies sold, this series of modern classics about the charming Penderwick family, from National Book Award winner andÂ New York TimesÂ bestseller Jeanne Birdsall, is perfect for fans of Noel Streatfeild and Edward Eager. Â Springtime is finally arriving on Gardam Street, and there are surprises in store for each member of the family. Â Some surprises are just wonderful, like neighbor Nick Geiger coming home from war. And some are ridiculous, like Battyâs new dog-walking business. Batty is saving up her dog-walking money for an extra-special surprise for her family, which she plans to present on her upcoming birthday. But when some unwelcome surprises make themselves known, the best-laid plans fall apart. Â Filled with all the heart, hilarity, and charm that has come to define this beloved clan, The Penderwicks in Spring is about fun and family and friends (and dogs), and what happens when you bring what's hidden into the bright light of the spring sun. 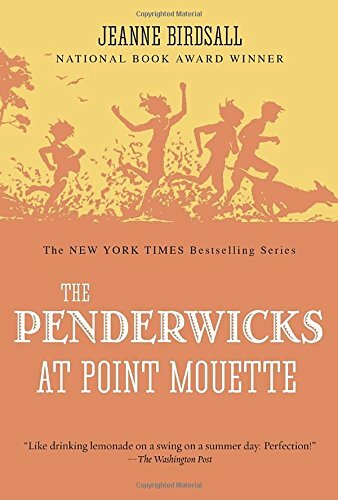 9780375870774 | Alfred a Knopf Inc, March 24, 2015, cover price $16.99 | About this edition: With over one million copies sold, this series of modern classics about the charming Penderwick family, from National Book Award winner andÂ New York TimesÂ bestseller Jeanne Birdsall, is perfect for fans of Noel Streatfeild and Edward Eager. 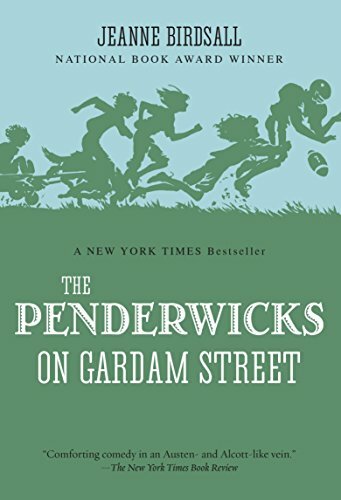 9780553552157 | Unabridged edition (Listening Library, March 24, 2015), cover price $40.00 | About this edition: With over one million copies sold, this series of modern classics about the charming Penderwick family, from National Book Award winner andÂ New York TimesÂ bestseller Jeanne Birdsall, is perfect for fans of Noel Streatfeild and Edward Eager. 9780375970771 | Alfred a Knopf Inc, March 24, 2015, cover price $19.99 | About this edition: With over one million copies sold, this series of modern classics about the charming Penderwick family, from National Book Award winner andÂ New York TimesÂ bestseller Jeanne Birdsall, is perfect for fans of Noel Streatfeild and Edward Eager. 9780606384520 | Turtleback Books, February 23, 2016, cover price $18.40 | About this edition: FOR USE IN SCHOOLS AND LIBRARIES ONLY. 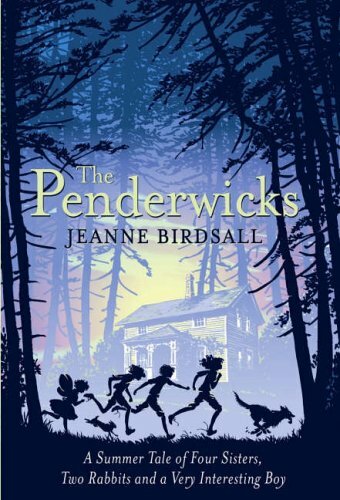 With over one million copies sold, this series of modern classics about the charming Penderwick family from National Book Award winner andÂ New York TimesÂ bestseller Jeanne Birdsall is perfect for fans of Noel Streatfeild and Edward Eager. This summer the Penderwick sisters have a wonderful surprise: a holiday on the grounds of a beautiful estate called Arundel. Soon they are busy discovering the summertime magic of Arundelâs sprawling gardens, treasure-filled attic, tame rabbits, and the cook who makes the best gingerbread in Massachusetts. But the best discovery of all is Jeffrey Tifton, son of Arundelâs owner, who quickly proves to be the perfect companion for their adventures. The icy-hearted Mrs. Tifton is not as pleased with the Penderwicks as Jeffrey is, though, and warns the new friends to stay out of trouble. Which, of course, they willâwonât they? One thingâs for sure: it will be a summer the Penderwicks will never forget. Deliciously nostalgic and quaintly witty, this is a story as breezy and carefree as a summer day.From the Hardcover edition. 9781598953169 | Unabridged edition (Findaway World Llc, August 28, 2006), cover price $39.99 | About this edition: With over one million copies sold, this series of modern classics about the charming Penderwick family from National Book Award winner andÂ New York TimesÂ bestseller Jeanne Birdsall is perfect for fans of Noel Streatfeild and Edward Eager. 9780375858512 | Alfred a Knopf Inc, May 10, 2011, cover price $16.99 | About this edition: With over one million copies sold, this series of modern classics about the charming Penderwick family from National Book Award winner andÂ New York TimesÂ bestseller Jeanne Birdsall is perfect for fans of Noel Streatfeild and Edward Eager. 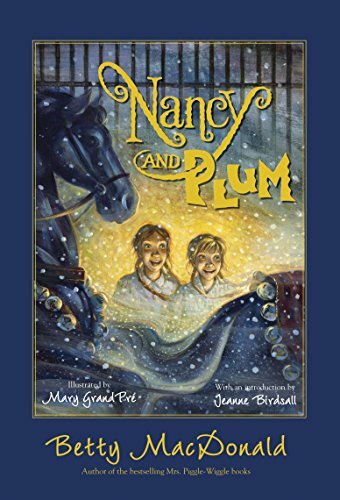 9780375851353 | Reprint edition (Yearling Books, May 8, 2012), cover price $7.99 | About this edition: This series of modern classics about the charming Penderwick family from National Book Award winner andÂ New York TimesÂ bestseller Jeanne Birdsall is perfect for fans of Noel Streatfeild and Edward Eager. 9780307915313 | Unabridged edition (Listening Library, May 10, 2011), cover price $34.00 | About this edition: With over one million copies sold, this series of modern classics about the charming Penderwick family from National Book Award winner andÂ New York TimesÂ bestseller Jeanne Birdsall is perfect for fans of Noel Streatfeild and Edward Eager. 9780375958519 | Alfred a Knopf Inc, May 10, 2011, cover price $19.99 | About this edition: With over one million copies sold, this series of modern classics about the charming Penderwick family from National Book Award winner andÂ New York TimesÂ bestseller Jeanne Birdsall is perfect for fans of Noel Streatfeild and Edward Eager. 9780606355704 | Reprint edition (Turtleback Books, May 8, 2012), cover price $18.40 | About this edition: FOR USE IN SCHOOLS AND LIBRARIES ONLY. 9780375866852 | Alfred a Knopf Inc, October 26, 2010, cover price $15.99 | About this edition: It was Christmas Eve. 9780375859861 | Yearling Books, October 11, 2011, cover price $6.99 | About this edition: It was Christmas Eve. 9780375966859 | Alfred a Knopf Inc, October 26, 2010, cover price $18.99 | About this edition: It was Christmas Eve. 9780786288977 | Large print edition (Thorndike Pr, August 23, 2006), cover price $23.95 | About this edition: While vacationing with their widowed father in the Berkshire Mountains, four lovable sisters, ages four through twelve, share adventures with a local boy, much to the dismay of his snobbish mother. 9780375831430 | Alfred a Knopf Inc, June 14, 2005, cover price $16.99 | About this edition: While vacationing with their widowed father in the Berkshire Mountains, four lovable sisters, ages four through twelve, share adventures with a local boy, much to the dismay of his snobbish mother. 9780440420477 | Reissue edition (Yearling Books, March 1, 2007), cover price $7.99 | About this edition: While vacationing with their widowed father in the Berkshire Mountains, four lovable sisters, ages four through twelve, share adventures with a local boy, much to the dismay of his snobbish mother. 9780307284518 | Unabridged edition (Listening Library, January 25, 2006), cover price $39.00 | About this edition: While vacationing with their widowed father in the Berkshire Mountains, four lovable sisters, ages four through twelve, share adventures with a local boy, much to the dismay of his snobbish mother. 9780375931437 | Alfred a Knopf Inc, June 14, 2005, cover price $17.99 | About this edition: While vacationing with their widowed father in the Berkshire Mountains, four lovable sisters, ages four through twelve, share adventures with a local boy, much to the dismay of his snobbish mother. 9781417772759 | Reprint edition (Turtleback Books, March 13, 2007), cover price $17.20 | About this edition: While vacationing with their widowed father in the Berkshire Mountains, four lovable sisters, ages four through twelve, share adventures with a local boy, much to the dismay of his snobbish mother. 9781410411891 | Large print edition (Thorndike Pr, January 7, 2009), cover price $23.95 | About this edition: With over one million copies sold, this series of modern classics about the charming Penderwick family from National Book Award winner andÂ New York TimesÂ bestseller Jeanne Birdsall is perfect for fans of Noel Streatfeild and Edward Eager. 9780375840906 | Alfred a Knopf Inc, April 22, 2008, cover price $16.99 | About this edition: With over one million copies sold, this series of modern classics about the charming Penderwick family from National Book Award winner andÂ New York TimesÂ bestseller Jeanne Birdsall is perfect for fans of Noel Streatfeild and Edward Eager. 9780440422037 | Yearling Books, March 23, 2010, cover price $7.99 | About this edition: This series of modern classics about the charming Penderwick family from National Book Award winner and New York Times bestseller Jeanne Birdsall is perfect for fans of Noel Streatfeild and Edward Eager. 9780739364994 | Unabridged edition (Listening Library, April 22, 2008), cover price $34.00 | About this edition: With over one million copies sold, this series of modern classics about the charming Penderwick family from National Book Award winner andÂ New York TimesÂ bestseller Jeanne Birdsall is perfect for fans of Noel Streatfeild and Edward Eager. 9780375940903 | Alfred a Knopf Inc, April 22, 2008, cover price $18.99 | About this edition: With over one million copies sold, this series of modern classics about the charming Penderwick family from National Book Award winner andÂ New York TimesÂ bestseller Jeanne Birdsall is perfect for fans of Noel Streatfeild and Edward Eager. 9780739375211 | Findaway World Llc, July 1, 2007, cover price $44.99 | About this edition: Meet the Penderwicks, four different sisters with one special bond. 9781598953428 | Unabridged edition (Findaway World Llc, August 28, 2006), cover price $44.99 | About this edition: With over one million copies sold, this series of modern classics about the charming Penderwick family from National Book Award winner andÂ New York TimesÂ bestseller Jeanne Birdsall is perfect for fans of Noel Streatfeild and Edward Eager. The Penderwicks sisters are as close as they can be. The four girls and their absent-minded father head off for their summer holidays, and find themselves on a huge estate called Arundel, with magnificent gardens ripe for exploring. It isn't long before they become embroiled in all sorts of scrapes, with a new-found friend, Jeffrey. 9780385610346 | Gardners Books, April 6, 2006, cover price $19.95 | About this edition: The Penderwicks sisters are as close as they can be.